There are three nights a month where my normal difficulty sleeping is replaced by insomnia of the highest order. You see, dear reader, I am a lunatic. No, not in its more common parlance, but rather it’s traditional use. Lunaticus, in Latin from the belief that changes of the moon caused intermittent insanity. Yes, rising on Sunday is the full moon. Of course, with the full moon comes the legend of the Werewolf. 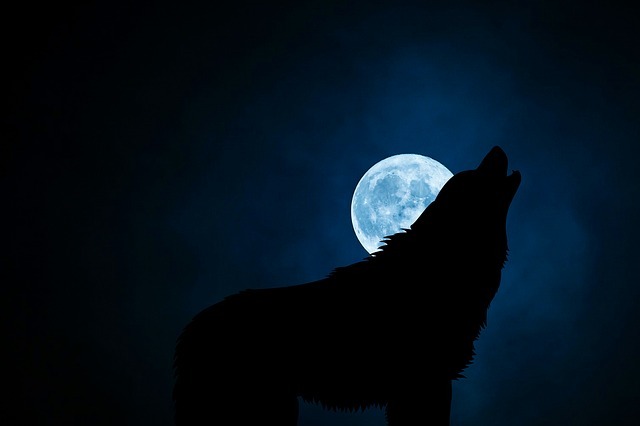 So, let’s howl at the moon and discuss this pervasive myth that spans over 4,000 years. Anyways… Let’s talk werewolves. A few years back, in the Russian steppes, archeologists found a 4,000-year-old site where people would ritualistically sacrifice and eat dogs and wolves. The full implications of this discovery has not been fully explored, but there is a belief that these ancient people were trying to become werewolves. History has many examples of tribes consuming parts of enemies and animals in order to gain their power, so this discovery might not shock many people. However, old texts claim that young warriors would have to “wear the skin of the animal for four years” before burning it as they reentered society. Many people assumed that the wolf part of werewolfism was the infectious part. That a bite from a werewolf would turn you into a wolf. In reality, it was the humanity that was the infection in these bites. The old ones that weren’t able to return to their tribes retained a part of their humanity, but it was the baser more animalistic side of humanity. Wolves went to war, hunted prey to the brink of extinction in some areas, and even attacked human settlements of their tribe’s enemies. When these werewolves bit other humans or wolves, they were infected with that bloodlust, transforming their mind and eventually even their physical appearance. The ancient stories of warring bands of barbarians that “fought like animals” and slaughtered indiscriminately, were the first stories of these werewolves becoming more numerous, more organized. The ancient world of humans would’ve eventually been ground into the dust of history had it not been for another group of werewolves. One of the tribes that used the wolf ritual to its proper effect. Two twin brothers came from one of those tribes and founded the end of the War Wolves. Those brothers were Romulus and Remus, the founders of Rome. Werewolves didn’t end there, but that’s a story for another time.